When you need some stylish leather dress shoes, try adding Giovanni to your list. Giovanni features all of their mens dress shoes with Italian design and style. 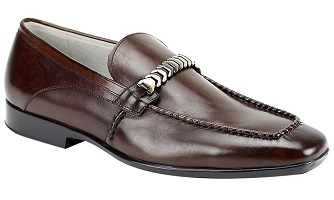 These brown bracelet top loafers will really spice up your shoe collection and will look so good with your collection of suits.